was founded in 2003. Its owner, Lynne Martin has been in the interior design field for 25 years. Westview is a boutique interior design and staging firm committed to excellent customer service and attention to detail. 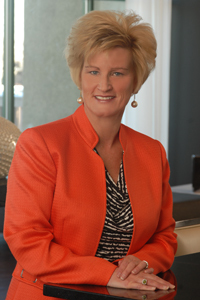 Lynne Martin graduated with a bachelor’s degree in Housing and Interior Environment from Colorado State University. Upon graduation, she began her entrepreneurial journey by opening Creator’s Design, Inc., a design firm specializing in children’s spaces. Intrigued by the wholesale side of the interior design industry, Lynne opened a linens showroom in the Denver Design Center, which was followed by owning a retail furniture store, Pacific Rim Furnishings in Cherry Creek North. Westview Design, LLC. is a culmination of her previous business adventures. In 2014 Lynne relocated from Denver to Coeur d’Alene, Idaho, bringing her passion for design and staging to the Pacific Northwest. Lynne’s varied design background and extensive business experience brings a wealth of knowledge to each and every project. Writing articles for “Design Lines” a Q/A column that once appeared in the Home Front section of the Rocky Mountain News. Teaching a Visual Coordination class at Colorado Free University on a once a month basis from November 2010 to October 2011.